Whitworth University President Beck A. Taylor announced Jan. 27 the appointment of Whitworth Professor of Education Barbara Sanders to interim provost of the university, effective May 28. In the meantime, Sanders will serve as senior associate provost to Michael Le Roy, Whitworth's current provost and executive vice president, who was named president-elect of Calvin College (Mich.) earlier this month. Le Roy will move into Calvin's presidency this summer. "Whitworth has been richly blessed under Michael's excellent leadership in academic affairs," Sanders says. "I'm excited for the opportunity to continue collaborating with administration, faculty and staff, as together we provide an education of mind and heart for our students. During this transition year, I look forward to helping implement Whitworth's strategic-planning initiatives." Sanders, who brings skills and experience in both teaching and administration to her new position, is expected to serve in the interim provost role through the 2012-13 academic year while the university searches for its next provost. President Taylor has not placed any constraints on Sanders regarding her potential interest in being a candidate for the permanent role. "Barb is known across campus as a skilled academician, a wise and thoughtful administrator, and a strong advocate for students' academic success," Taylor says. "She is also a tireless champion of Whitworth's distinctive mind-and-heart mission. I feel very confident about the leadership Barb will provide as the university searches for its next chief academic officer and continues to make significant progress toward its Whitworth 2021 strategic-plan goals." 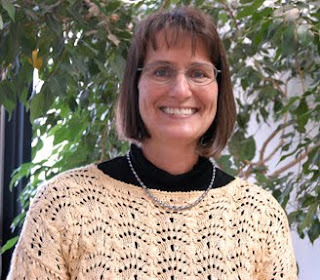 Sanders, who has taught in the Whitworth School of Education since 1995, served most recently as Whitworth's associate provost for instruction, a position she held for six years. In that role, she helped provide leadership and administrative direction for all academic programs and services that directly affect students' academic performance and success, with particular emphasis on academic policy, educational assessment, and accreditation. From 2001-05, she served as director of assessment and secondary coordinator for the Master in Teaching and undergraduate education programs. She also has taught a variety of courses at Whitworth, including math and science methods, Core 350: Worldview Studies, and assessment and research methods. Professionally, Sanders served as a board of examiner member for the National Council for Accreditation of Teacher Education (NCATE). From 2000-02, she chaired the Washington Association of Colleges for Teacher Education (WACTE) pedagogy assessment committee, and she was instrumental in developing the pedagogy-assessment instrument that was used for 10 years in all teacher-education programs in Washington state. She was honored with the Outstanding Leadership Award by WACTE in April 2002. Sanders received her Ed.D. in curriculum and instruction from Washington State University, her MIT from Whitworth, and her B.S., in crop science, from Montana State University. Prior to coming to Whitworth, she taught middle-school science and math and worked in agricultural research.